Boston offers incredible art experiences for kids, from world-class museums to undiscovered gems. You can find everything from interactive exhibits where the youngest set can learn and explore to sophisticated showings from the hottest artists on the scene. Read on for an overview of some of the must-see museums in Boston and Cambridge, and be sure to check our more indepth posts as well for the Boston Children's Museum, Museum of Fine Arts (MFA), Museum of Science, and the Harvard Museum of Natural History. 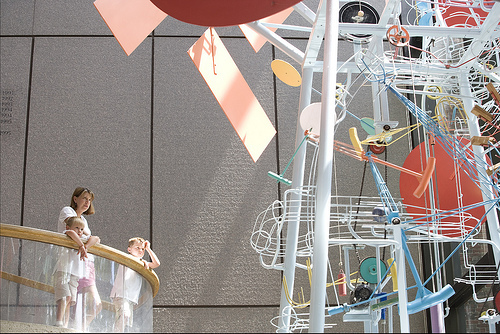 A favorite spot for the under 10 set, the Boston Children’s Museum features hands-on activities and interactive exhibits focus on science, culture, environmental awareness, health & fitness, and the arts. Some of the most popular exhibits are: Arthur and Friends, Boston Black…, Construction Zone, Japanese House, Johnny’s Workbench, Kid Power, and Science. Look for family exhibit guides for background information and suggestions for ways to play, watch, listen and talk with your children in that exhibit, available in the museum or by download from the website. Best time to visit: The museum’s quietest times tend to be school weekday afternoons after 1:30PM. Strollers: Strollers can be left in the self-service coat room. Special Admission: Youths ages 7-17 are free weekdays after 3 pm, weekends, and on Boston public school holidays. Visiting with kids: The Museum offers a wide variety of programs geared toward children of all ages. From MFA Playdates to the Family Art Cart to downloadable Art Connections activity cards, take advantage of structured and self-guided activities for children from toddlers to teens. Strollers: Strollers are allowed in all galleries; however, there may be restrictions in the Gund Gallery if crowds are large. Baby backpacks are not allowed. Regular Hours (September 5 through July 4): Saturday - Thursday, 9:00AM - 5:00PM; Friday, 9:00AM - 9:00PM. The Museum takes a hands-on approach to science, engineering, math, and technology. Highlights include the Thomson Theater of Electricity, Charles Hayden Planetarium, Mugar Omni Theater, Gordon Current Science & Technology Center, 3-D Digital Cinema and Butterfly Garden. Families with children ages 8 and under can visit the Discovery Center to explore science through hands-on play. Special admission: Free to Massachusetts residents every Sunday morning (year-round) from 9:00AM to 12:00PM and on Wednesdays from 3:00PM - 5:00PM (September through May) excluding commercial groups. Please be prepared to present proof of residency. 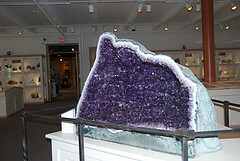 From the Great Mammal Hall that features a full-sized giraffe and three whale skeletons to the Mineral Hall with its stunning array of minerals and gems from around the world, the museum offers opportunities for kids to explore the galleries, examine specimens, and participate in activities led by museum educators. One of our favorite exhibits is the Glass Flowers Collection, created in the 19th century to serve as a teaching collection and remains famous for its beauty and botanical accuracy. You won't believe they're glass! Strollers: Strollers are allowed, but the museum encourages you to use the smallest stroller possible, so they don’t make it difficult for other visitors to get around and see the exhibits. Hours: November through March, Daily 10:00AM - 5:00PM; April through October, Daily 9:00AM - 6:00PMAdmission is free for individuals and families; donations are suggested. 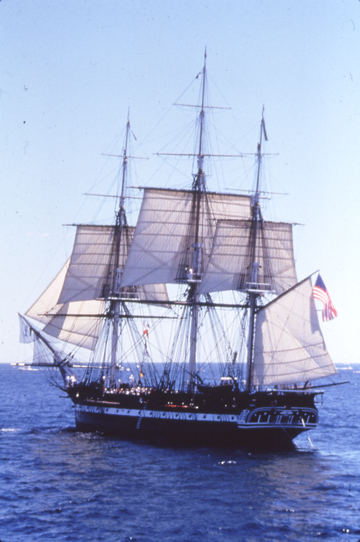 Only yards away from "Old Ironsides," the Museum features interactive galleries that take adults, families and children of all ages on a 200-year voyage to explore the history of the USS Constitution and the people associated with her. These five museums barely scratch the surface of great museums to visit with kids. On the North Shore, for example, families can visit the Wenham Museum (Wenham), Cape Ann Museum (Gloucester), and Peabody Essex Museum (Salem). In the MetroWest area, the Discovery Museums (Acton) and Concord Museum (Concord) are on our must-see list. To the south, the Children's Museum in Easton and the Fuller Craft Museum (Brockton) are two of our favorites.